I had meant to begin this post by finding a quote that neatly and accurately described the book I recently finished reading. It seemed simple enough; run a quick google search, scour few dozen sentences by famous writers, and somewhere therein find some perfectly rendered phrase that seems profound, wise, and all-encompassing. 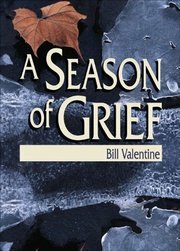 However, if a reader takes only one thing away from Bill Valentine's A Season of Grief, it is that coping with the death of a loved one, a life partner, is a deeply personal process. No metaphors for love and grief, desolation and despair, can ever capture the textures of the empty coat hanging in the closet, or the remembered smells of a favorite food, or the consoling tones of a record collection left behind. William Carlos Williams once remarked, "No ideas but in things." There is no grieving but in what remains: memories, possessions, connections, words spoken and not, family, loves, faith. "9/11 was too ambiguous. You couldn't prove how the government was somehow in on the deal. … New ­Orleans was undeniable irresponsibility." Is it possible for her to shut her friggin' yap and keep singing? The International "Freedom" Center will not be. Good job, Robert. Thank you, Governor. Cheers to Downtown Lad for helping put the Pope's latest act of hatred and bigotry in stark relief. But jeers to the Times for quoting the over-quoted Sullivan. I'm off to D.C. for the weekend. I might blog, I might not. I have a feeling I'm going to face a "come to Jesus" over the whole issue either way, so to speak. But that's another topic for another time. I hope to get back in time on Sunday evening to be in front of a TV. That day, as I'm sure you are well aware, is the four-year anniversary of 9/11. At 9 p.m. EDT, Discovery Channel will air "The Flight That Fought Back," a dramatization of one of the seminal events of that day: the hijacking and passenger uprising aboard Flight 93. The producers claim "unprecedented access" that allowed them to painstakingly recreate the events they portrayed. Love and hugs, y'all. Keep the home-blogs burning. That was my husband's reaction to "Inside 9/11," which aired last night on the National Geographic Channel. 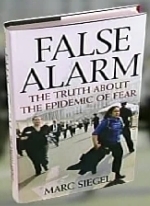 The four-hour documentary aired with limited commercial interruption in two two-hour segments, the first of which dealt with the birth of Al Qaeda dating back to the waning days of the Soviet occupation of Afghanistan, and the second looking at the events of 9/11 themselves. I simply cannot endorse this outstanding documentary strongly enough. If you have not yet seen it, you still have at least one more chance. NGC will air the first part, "War on America," at 4 a.m. EDT on August 29, and the second part, "Zero Hour," at the same time the next morning. ". . . It's almost as if talking about completing the mission in Iraq has become 'taboo,' " said Feingold. "It's time for senators and Members of Congress, especially those from my own party, to be less timid while this Administration neglects urgent national security priorities in favor of staying a flawed policy course in Iraq. We need to refocus on fighting and defeating the terrorist network that attacked this country on September 11, 2001, and that means placing our Iraq policy in the context of a global effort, rather than letting it dominate our security strategy and drain vital security resources for an unlimited amount of time." "Post 911, the administration published a list of countries where al Qaeda was operating. Iraq wasn't even on it. "Now, it's the number one training ground for terrorists from around the world. Our nation's security is at stake and it's time for Congress and the administration to level with the American people, and develop a policy worthy of our brave men and women in uniform." Has Feingold changed his mind since last week? Or does he believe the U.S. military should not be fighting terrorists in their No. 1 training ground?